Gold has almost always played a role in society. In fact, early traces of gold were found in ancient caves as gold flakes by archaeologists. The first civilization ever to be documented with gold use was Ancient Egypt, with evidence dating as far back as 3,000 B.C. Egyptians fancied gold, they mostly used it as a symbol of social status, a sign of wealth, and as a form of currency. However, Egyptians opted for other agricultural products as tools of barter trade rather than gold. The first civilization to use gold as a medium of exchange is thought by some to be the Kingdom of Lydia which was located in modern-day Western Turkey. It’s durable. Gold does not tarnish or corrode and, therefore, can be used as a store of value for years without losing its value. Gold is rare. The only known practical way of getting more gold is mining more of it. This makes it extremely valuable and one of the most sought-after precious metals found on the earth. Gold can be divided into smaller units that are portable and easy to carry which have the same value as the next unit. For example, one ounce of gold has the same spot price value as another ounce of gold. Due to the above factors and more, many civilizations found it easy to trade using gold, unlike other items used in the barter trade system. It became apparent that gold was more favorable for trade and wealth storage. Gold in ancient times could be easily carried in a pouch, sack, or in the folds of one’s garment or belt. Alternatively, gold jewelry could be worn on the body as well. Historically, gold has appeared in several forms. Due to the fact that gold is highly malleable, different historical civilizations fashioned gold into different items such as shrines or idols, plates, cups, vases, and vessels of all kinds and shapes, as well as jewelry for personal adornment, among other things. Below we take a look at some of the various forms gold took and how it was carried in several ancient civilizations. As stated earlier, gold was mostly considered a symbol of power and wealth. Therefore, in most ancient civilizations, such as the Silla Kingdom, which ruled parts of the Korean peninsula. Their kings and queens wore golden crowns that were carried on their heads to symbolize their royal status and leadership. Five of these golden crowns were discovered by a policeman in 1921 in Southern Gyeongju which was initially known as Kumsong (city of gold). Along with the gold crowns, other forms of gold ornaments such as earrings, necklaces, and girdles were found at the discovery site. Since gold crowns were meant for royalty, if they were not being worn on the head, it would likely be in a secret or secure place of holding. Golden scepters were also associated with royalty in ancient civilizations. There is a brief mention of the king of Persia’s golden scepter in the Bible, specifically in the book of Esther 4:11 where Esther narrates how if anyone approaches the king in the inner courts, they would be put to death unless the king extended the golden scepter to them to signify that he spared their life. Scepters were usually carried by kings or queens, and were mostly used as a symbol of authority. Again, being a royal item, scepters, if not being held by the royal person, would likely be kept in a secret or secure place. Ancient Chinese coins were among the first ancient gold coins to be produced. They were introduced as early as 350 BC, where their first believed appearance had a round shape with a round hole in the middle. Later on, they introduced circular gold coins that had a square hole in the middle. One of the things the square hole allowed for was the coins to be strung on string for carry. The Qin Dynasty that unified the whole of China, was the first Dynasty to introduce coinage in China. The rest of the dynasties came up with their own coins with different shapes and sizes. Gold coins have been in existence for at least as far back as 345 BC. In fact, they have been around at least ever since the Kking of Lydia, King Croesus, struck them between 560 and 546 BC. Most of these coins usually have an engraving that bears the resemblance of important ancient figures such as Roman and Byzantines Emperors from as late as the 5th Century. Gold coins were used around the world for many centuries, from Europe to Asia to America and more. A common way of carrying them would have been in an old style wallet, which was basically a small coin bag. Gold bullion refers to gold bars that get their value from their weight and purity as opposed to jewelry or antiques that are usually mixed with other metals. Gold coins, on the other hand, happen to be slightly lighter in weight compared to usual gold bullion options (though there are “rounds” which are considered bullion and not coins). Both of these are considered investment assets due to their capability to be used as stores of value. Gold coins will have a denomination value (even if the gold by weight is worth much more), and will be notably representative of a particular country. 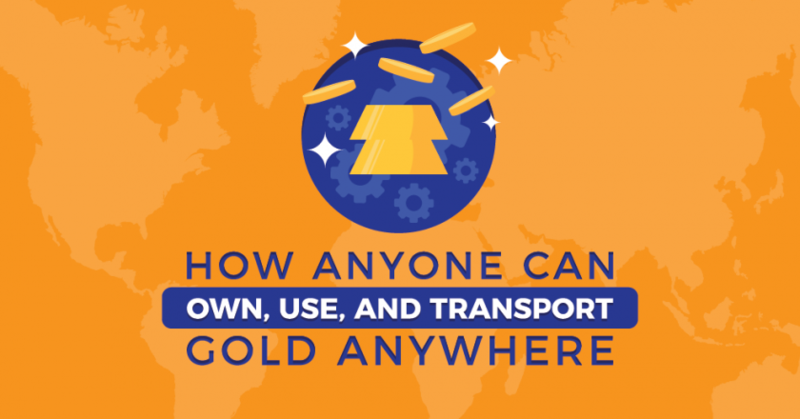 Though the usage of gold coins & bullion for exchange purposes has largely been wiped from the general public, they are still popular investment options in the modern era. Gold coins or gold bullion are usually stored in storage vaults and safes. Gold bonds and gold stocks are both modern-day investment products introduced by governments as alternatives to owning physical gold. These gold bonds or gold stocks are readily available at designated banks, stock exchanges, or post offices. Since stocks and bonds are simply statements of ownership, they are stored either on paper or on centralized computers. 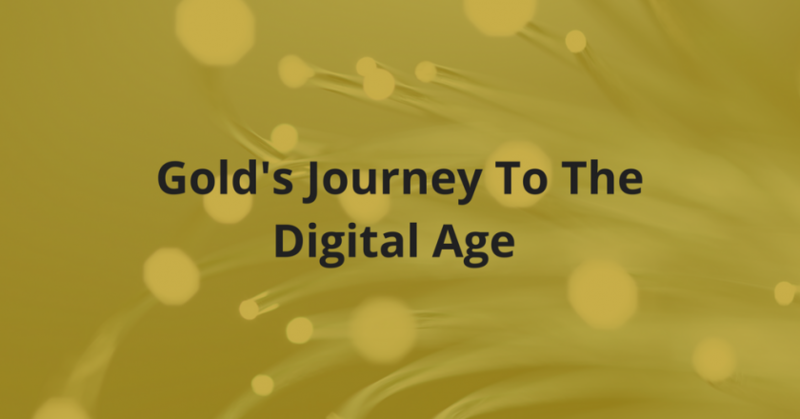 Due to the innovation of blockchain, it’s now easy to transfer the value of real physical gold to an online digital currency, which combines most of the benefits of both gold and cryptocurrencies, while leaving out much of the negative aspects of these assets. This is what is known as asset tokenization. Here at DinarDirham, we have our own blockchain-based digital gold token, the DinarCoin. Other cryptocurrencies that are doing similar work include OneGram and ZenGold. 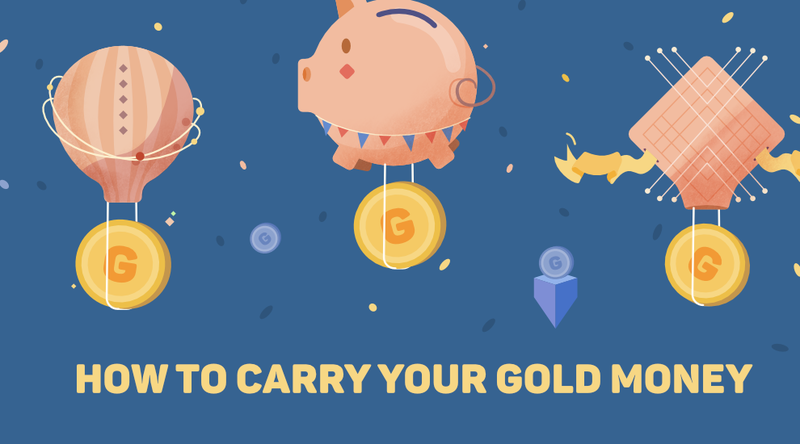 These types of gold-backed or gold price-backed cryptocurrencies are stored in a modern digital cryptocurrency wallet. A cryptocurrency dominated future is highly possible. The growth and adoption of cryptocurrencies as a legit payment method is proof enough that people are willing to accept receiving and making payments in cryptocurrencies. Make sure you visit our official website for more information concerning our gold and blockchain based products. As far as how to hold your gold today that depends. If you want to own physical gold, one of the most common ways of storing it is in a vault or 3rd party storage, which can incur extra costs. And as far as carrying physical gold with you, it’s harder than it used to be, because of its high value. You could carry a few coins or flat bars in your wallet, but there’s not much practicality in that unless you’re going to make a private trade, go to the pawn shop, or purchase items in a catastrophe. We believe a good option for daily use and general storage is a good digital wallet. You can see two recommended wallets on our official DinarCoin page.